Past Simple Review. 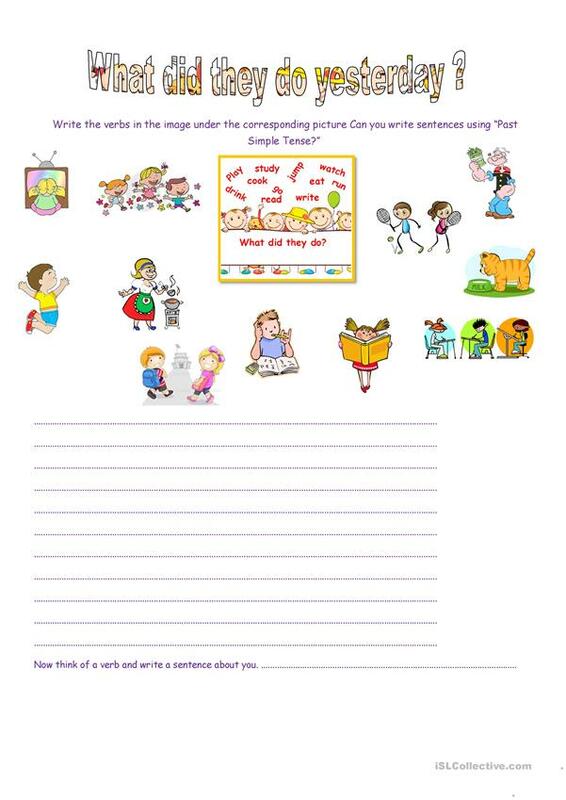 Sts have to write the correct past tense under each picture and write some sentences too. The present downloadable teaching material is best suited for high school students, elementary school students and students with special educational needs, learning difficulties, e.g. dyslexia at Elementary (A1), Pre-intermediate (A2) and Intermediate (B1) level. It is excellent for enhancing your groups' Spelling, Speaking and Writing skills.